This empirical-exploratory article sheds light on the change management approaches used by Chinese owner-managers of small firms in Singapore and their openness toward strategic learning. The paper examines widespread common-sense assumptions that ethnic Chinese adopt mostly directive-coercive (autocratic) change management approaches, which may stifle innovation. 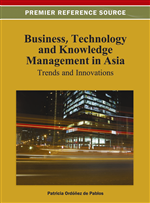 Great diversity exists amongst small firm owners in Asia with regard to their change leadership practices, and respective change implementation approaches are contingent on both demographic variables and situational forces like the urgency of change, the degree of resistance to change, and/or the dynamics of the environment in which the firms operate. Data from a SME survey in Singapore (n = 101) serves to substantiate several propositions about change management of Chinese owner-managers of SMEs in Singapore. Three hypotheses about the openness of SME owner-managers to outside sources of learning are presented to ascertain the prediction that such knowledge can give SMEs a performance headstart by helping them to work smarter. Locally-owned small and medium-sized enterprises (SMEs) form the backbone of Singapore’s economy1. They comprise 92% of the city-state’s total establishments, employing 51% of the workforce and generating 34% of total value added. The recession in 1985/86, the Asian crisis 1997/98 and the global economic turmoil in 2008/09 have underlined the resilience and challenges of Singapore’s SME sector in terms of employment generation or the imperatives of rapid environmental change. As Singapore progresses from her post-colonial dependence on Multinational Companies (MNCs) for technological transfer and financial capital to a knowledge-based economy that places emphasis on entrepreneurial culture, research & development, know why, intellectual assets and knowledge management capabilities (Menkhoff, Evers, & Chay, 2010), the government recognises the important role of SMEs in increasing the economy’s competitiveness in the global market as well as the strength and stabilising role of this “indigenous” sector that “… is more permanent and durable than a foreign one” (Lee & Low, 1990, p. 23). Despite various SME success stories and the dynamism of the small firm sector as a whole, Singapore’s policymakers have put in place various schemes to help local SMEs to master the transition to a knowledge-based economy. This requires the modernization of ‘traditional’ structures and mindsets as well as the willingness to learn from outside sources which explains why the topic of this paper, namely organizational change leadership, is so important in Singapore’s business and society. Examples of major environmental changes impacting upon SMEs include the on-going process of economic globalization, intensified competition or continuous IT innovations such as E-commerce. All this has focused management’s attention on managing discontinuities in organizations’ lives. As management scholars have argued, these external forces of change require not only ‘adaptive’, ‘flexible’ organizations and ‘new’ management approaches but also competent leaders and managers able to adapt to changing times and to manage organizational change (Beckhard, 1969; Beckhard & Harris, 1987; Tushman et al., 1997; Schaefer & Thomsen, 1998; Bjerke, 1998; Menkhoff & Gerke, 2002). In view of turbulent markets, the need for SME owners to make strategic responses towards the changing environment is crucial for sustaining success and survival (Pfeffer & Salancik, 1978; Hannan & Freeman, 1984; EIU, & 2000; Pfeffer, 2005; Chew & Chew, 2008). Organizational change refers to both planned and unplanned transformations of an organization’s structure, technology and/or human resources (Leavitt, 1965). Planned organizational change entails activities that are intentional and purposive in nature and designed to fulfill some organizational goals. It emphasizes managerial choice (Child, 1972, 1997) in contrast to unplanned change, which implies shifts in organizational activities due to forces that are external in nature and beyond the organization’s control. In the literature on organizational change, planned change is often used synonymous with organizational development (OD) while unplanned change is discussed in the context of adaptation (Dyer, 1985; Kirkpatrick, 1985). Planned organizational change interventions are typically designed and sequenced by an internal or external change / OD agent, following a detailed diagnosis of an organization’s shortcomings and needs. One of the core competencies of change agents is change leadership which we define as a systematic process of aligning the organization’s people and culture with changes in business strategy, organizational structure, systems and processes resulting in ownership and commitment to change, sustained and measurable improvement and improved capability to manage future change (Burke & Litwin, 1984; Hussey, 1995).